The HP LaserJet 1015 is a compact monochrome personal laser printer that is suitable for black and white printing.The printer will fit the needs of a small business or a student that do not require colour printing.The HP LaserJet 1015 printer comes in an ultra-compact design that fits into any workspace even in a bookshelf as the printer has dimensions of 370 x 230 x 208 mm and weighs only 5.9 kgs. A maximum resolution of 600 x 600 dpi is possible when printing. Using HP Resolution Enhancement technology (REt), it produces crisp and clear business prints with optical 600 x 600 dpi resolution. Processing print information is done using a 133 MHz processor and 16 MB of memory. With HP Laserjet 1015 toner cartridges, the printer meets the requirements of personal and business printing with its professional-quality results. Despite its small footprint, it delivers print speeds of up to 15 ppm with maximum monthly duty cycle of up to 7,000 pages. With reliability, compactness and affordability, the printer provides outstanding performance in an economy sized package. It also features USB support for connectivity purpose. A USB cable makes connection quick and easy. Media is loaded into the printer using a 150 sheet auto-load input tray that is divided with a 10 sheet multipurpose tray. Affordable and very less running costs. Energy-efficient as it uses 214 watts of energy during operation and only 7 watts during standby. HP LaserJet 1015 toner is an affordable monochrome printer.It helps to keep the running costs at a minimum with HP Laserjet 1015 toner cartridges. But it is a single functional device and lacks networking hardware. Capable of only black and white printing, it can be a suitable option for small business or a student. Its single functionality is a disadvantage as there are better options available with multi functionality and colour printing. Q. What is the price of multipack compatible HP Laserjet 1015 toner cartridge available at your site? A. The price of these multipack toner cartridges is €48.99 (Inc. VAT) . To know more about these cartridges, please visit: https://printerinkcartridges.ie/hp-inkjet-cartridges/hp-laserjet-printers/laserjet-series-1000-2999/laserjet-1015. Q. Is the printer energy-efficient? How much power does the printer consume? A. Yes, the printer is energy-efficient as it uses 214 watts of energy during operation and only 7 watts during standby. Q. Does the printer support networking hardware? A. No, the printer lacks networking hardware. Q. I want to buy a multipack of HP Laserjet 1015 toner cartridges. But I am unable to find any on your website. Could you please help? A. Sure. Unfortunately, we do not have a multipack of HP Laserjet 1015 toner cartridges at present. However, we do have a single pack of a compatible toner cartridge which to some extent complements the page yield of a multipack toner cartridge. It offers a page yield of 3000 pages per cartridge. If you wish to know more about the product please click on the link given - https://printerinkcartridges.ie/hp-inkjet-cartridges/hp-laserjet-printers/laserjet-series-1000-2999/laserjet-1015. Q. What is the maximum print speed and monthly duty cycle of this printer? A. The print speed of this printer is upto 15 pages per minute and the monthly duty cycle is 7000 pages. Q. Is HP Laserjet 1015 printer multi-functional device? A. No, the printer is a single functional device as it does not include a scanner, copier, or fax machine. Q. Do you offer colour HP Laserjet 1015 toner cartridges for HP Laserjet 1015 printer? A. No, we do not offer colour toner cartridges for this printer. As the printer is capable of black and white printing only, we offer black HP Laserjet 1015 toner cartridges. You can visit the black toner cartridges here. Q. Are HP Laserjet 1015 toner cartridges compatible with HP Laserjet 3015? A. Yes. 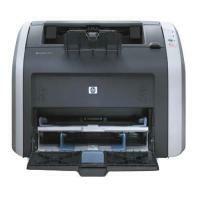 HP Laserjet 1015 toner cartridges are compatible with HP Laserjet 3015. If you wish to know about other printers compatible with these toner cartridges please check out the link here - https://printerinkcartridges.ie/hp-q2612x-ink-toner. Q. How do I print labels using HP Laserjet 1015? Go to printer properties (for Windows 2000 and XP OS go to printing preferences). Look for Printer properties or the driver for instructions. Choose the media type from the Paper/Quality tab or the Paper tab. Please Note - Some printer drivers and operating systems do not have all the printing features required. For information on availability of printer features on a particular driver please visit the printer properties online Help. Q. What precautions should I follow to store the HP Laserjet 1015 toner cartridges properly? Will improper storage of cartridges reduce its shelf life? A. First and foremost always remember to store HP toner cartridges in their original packaging until you are ready to use it. Store the cartridges away from direct exposure of sunlight to minimise the risk of damage. Yes. The cartridge would definitely lose its shelf life if not stored correctly. A toner cartridge that is stored intact with the original package offers a shelf life of approximately 2.5 years. And if the cartridge is stored open without its package it its shelf life comes down to 6 months.